What Are The Basics Of Water Filtration Systems? Posted 3:56 pm by Chris & filed under water. My friend David asked me “What are the basics of Water Filtration Systems”? That is a great question, especially since we are so dependent upon water for life. Do you ever fear tasting the water when you go to a restaurant, and it tastes terrible? Do you add lemon and sugar from the packets there so that it tastes better? Do you wonder what the heck is in the water in the first place, and is it safe to drink? I have spent over 35 years educating myself about water. From making water on board US Navy ships, to living in a small town in Washington State near the Canadian border where the water out of the faucet looked dirtier than the mud puddles that I drove through to get there. I became involved in water treatment in the civilian world while working for a resort that had very high quality standards. If the water tasted bad, so would the food, the pool would cost more to maintain, and the experience would not be enjoyable in the outdoors if the water was not palatable. 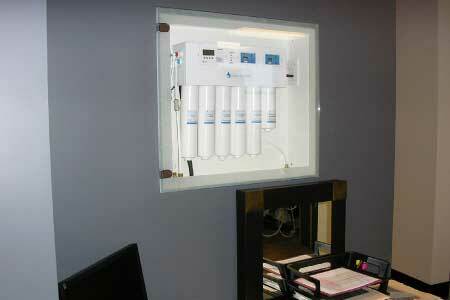 So how do you know if the water filtration systems that you are looking at will work for you? Heterotrophs are broadly defined as microorganisms that require organic carbon for growth. A variety of simple culture-based tests which are intended to recover a wide range of microorganisms from water are collectively referred to as “heterotrophic plate count” or “HPC test” procedures. Accordingly, the terms “heterotroph” and “HPC” are not synonymous. There is no universal ‘HPC measurement’. Although standardized methods have been formalised, HPC test methods involve a wide variety of test conditions that lead to a wide range of quantitative and qualitative results. Temperatures employed range from around 20° to 40° C, incubation times from a few hours to 7 days or a few weeks, and nutrient conditions from low to high. The test itself does not specify the organisms that are detected. Does not sound too good though right? Well, the bacteria is measured in CFU/ml, or Coliform Forming Units per Mililiter. The US Safe drinking water act standards are that there are no more than 500 of those units in your drinking water. Your local water utility works to meet those requirements, and are usually strictly monitored. However, the water can taste like chlorine or other sanitizers to meet those requirements. And what if you are allergic to chlorine? That is where water filtration systems come into play. First, a water filtration system needs to be sized for the home or farm that it is being used on. If you have a well, you should have the water tested to ensure that there is no contamination going into your well from other sources. If there is, you want to treat your water to get rid of those contaminates. If needed, a Reverse Osmosis Membrane that removes up to 90% of the Total Dissolved Solids from the water and places them in the drain as Brine. A post Carbon filter for taste and to add some minerals into the water if needed. Some people may add an UV lights for extra disinfection safety. Wikipedia defines UVlights: Ultraviolet germicidal irradiation (UVGI) is a disinfection method that uses Ultraviolet (UV) light at sufficiently short wavelength to kill microorganisms. There are extra filters that you can purchase that will remove lead, arsenic and other contaminants. There are also water filtration systems that soften the water using sodium (salt) to reduce the hardness of the water. So, the Basics are just the Basics. There is much to learn about your water, and I will go over more specific details as you ask your questions and share your stories. Also you can leave a comment or a question below and I will be happy to answer you . Remember, the more you know, the easier it is to reach your goals of a Healthy Sustainable Life!